Since it’s Friday and January 6th which is the Feast of Fool, It’s a Feast of Fools Fan-Art (or Topsy Turvy Day to you Disney Fans). This Fan-art is by GenkiTenshi. 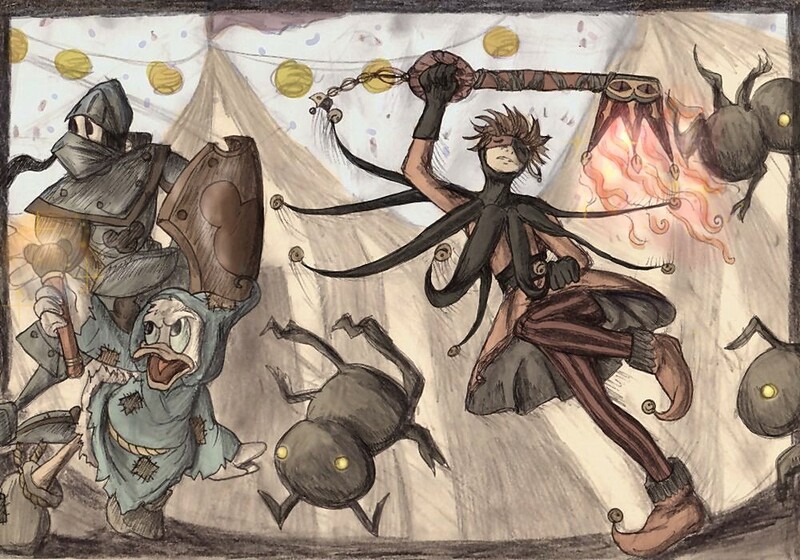 It’s uses the Feast of Fools as a setting with the characters from Kingdom Hearts Characters; Sora, Donald Duck, and Goofy fighting the Heartless (yeah, I’ve played Kingdom Hearts before). This pairing is appropriate because Kingdom Hearts 3: Birth by Sleep, will go into the Hunchback of Notre Dame world.